This article appeared first on Eternal Vigilance. It has been edited and formatted for clarity and will be reproduced here in two parts with permission of the author. As a Christian Libertarian New Zealander, my sincere condolences go out to the Muslim community in Christchurch and their greater families and friends. Their wounded in the hospitals are in my prayers. I want New Zealanders to wake up to the fact that we have already been robbed of many of our natural rights to take care of our own security and to utterly reject Arden’s plans to render us even more defenseless, and take away our semi-automatic firearms that are 99.999% used for peaceful purposes: hunting. In fact, the terrorist expressly chose firearms because he knew that would cause politicians to try and ban guns. This being so, Jacinda Ardern is proving to be a gullible puppet on a string! A predictable simpleton. 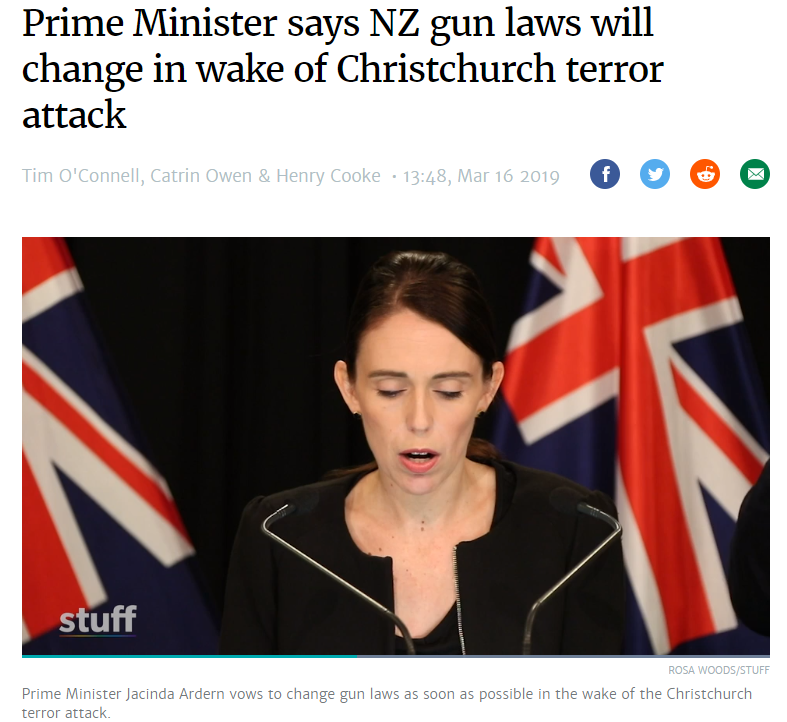 In his manifesto The Great Replacement published on line before the attack the killer said the reason he used firearms over other options was to achieve maximum media hype and to provoke leftist politicians (like Jacinda Ardern) into passing draconian fire arms restrictions! The following is an extract from the manifesto. Warning, it's vile stuff. [The quotes from the "manifesto" have been redacted due to New Zealand's Orwellian censorship rules. Under the "Films, Videos & Publications Classification Act 1993" the "chief censor" David Shanks has banned the sharing of its contents. This means sharing or downloading the document or the contents of it is now a criminal offence under NZ law. What we are seeing here with Ardern's declaration of a future ban on semi automatic weapons, is the lie that socialists sell the world over—the claim that the more defenseless they render everybody, the more they take away our rights, the more laws they pass, that the safer we all are supposed to be. When the opposite is true. Contemplate the fate of the Venezuelan population whom complied with their socialist government, and were disarmed! The more defenseless they render us, the more exposed to violence we become! In London the socialists idiots running the place there are coming up with all sorts of suggested new laws and prohibitions! Banning home delivery of knives and suggesting all knife points be rounded off by law, etc, etc. One UK official even says all knives should be fitted with GPS trackers to fight rise in stabbings. He’s mocked mercilessly. He added that "it’s time we had a national database like we do with guns"! You cannot "ban" the universe into being a "safe space" for defenseless children. These (il)liberal tyrants are turning our nations into children’s daycare centres, and it does not work! They are are simply making the population more dependent upon the state and therefore less self reliant, more exposed, and less safe! They are turning our societies into prisons, yet even in prisons dangerous criminals can still make shanks and murder you. Even in a prison with hundreds of guards and all guns and knives banned! Only idiots think these prohibitions are a good idea or have any hope of success! The concept that any time something bad happens is an indication that the government needs to "do more" is retarded. I want you to think about this instead: these terrible events can just as easily be seen as an indication the government needs to do less! Instead of the government taking away more of our rights, they ought to be restoring our rights they have already foolishly taken away! Re-empowering us to look out for our own security. This is what a society of free, enlightened, and self-reliant citizens would be—a society that does not believe the foolish idea that our politicians can keep us safe. Yet this "do less" response to these sorts of horrors rarely occurs to the minds of the sheeple who seek to rely on governments to keep them safe rather than take responsibility for their own safety. The sheeple refuse to see this atrocity as proof of the failure of nanny-state socialism. Sheeple prefer to have less rights rather than more personal responsibility, and this childish mentality is precisely what feeds the socialist politicians and why these little brainless tyrants get elected instead of more honest, and competent candidates. 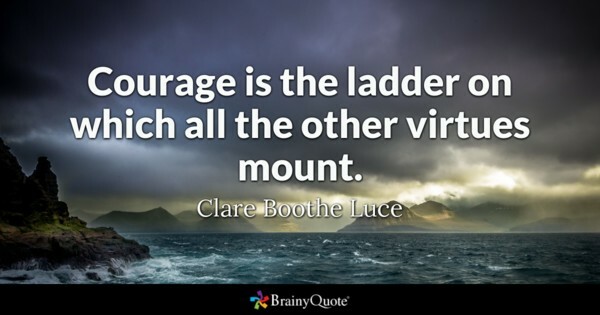 Liberty requires bravery, and so any event that spooks the sheeple results in more socialism and less freedom.